This property is no longer available but you can view the sister house here. 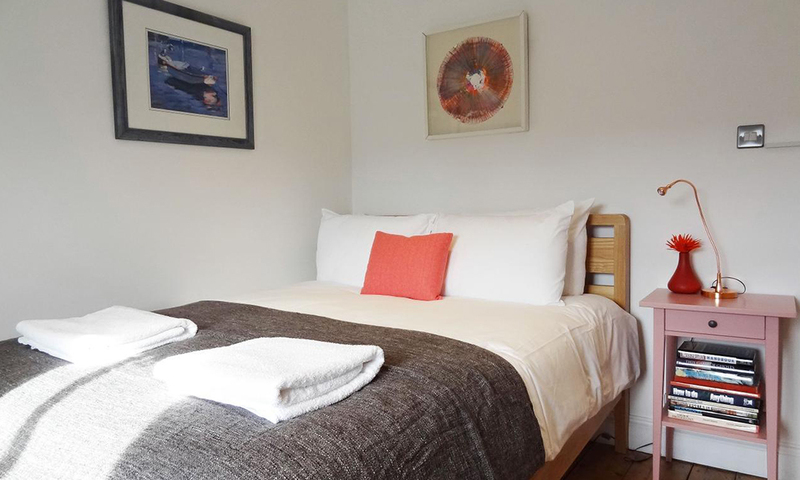 Sleeps up to 15 guests or can be twinned with neighboring property to sleep up to 29 guests. 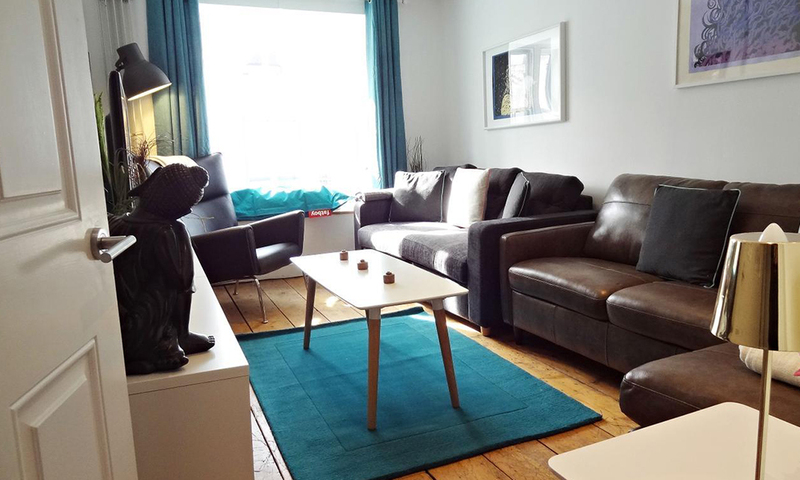 This self catering property is ideal for Hen parties. 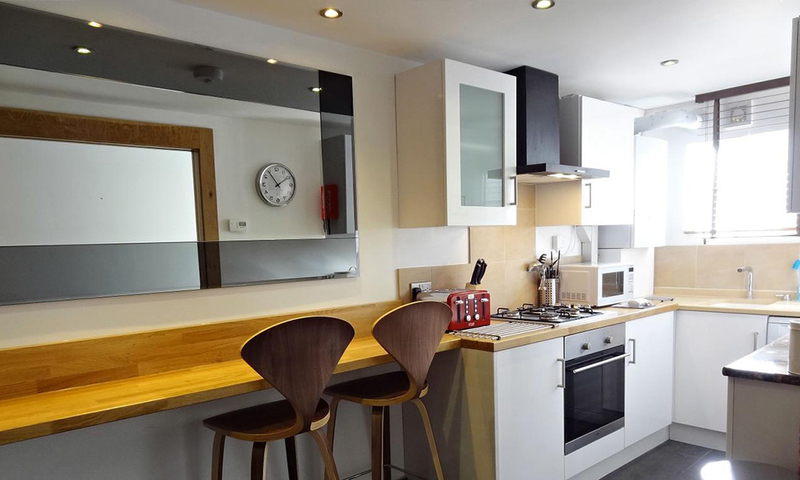 This stunning 5 bedroom house is located right in the centre of Brighton's vibrant North Laine. 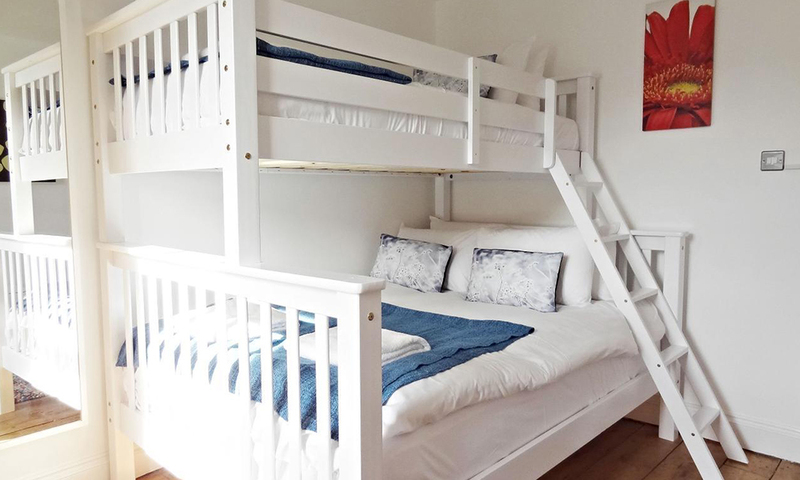 It can Sleep up to 15 guests comfortably and is in the perfect location for guests to soak up the unique Brighton culture which makes this city by the sea so special. 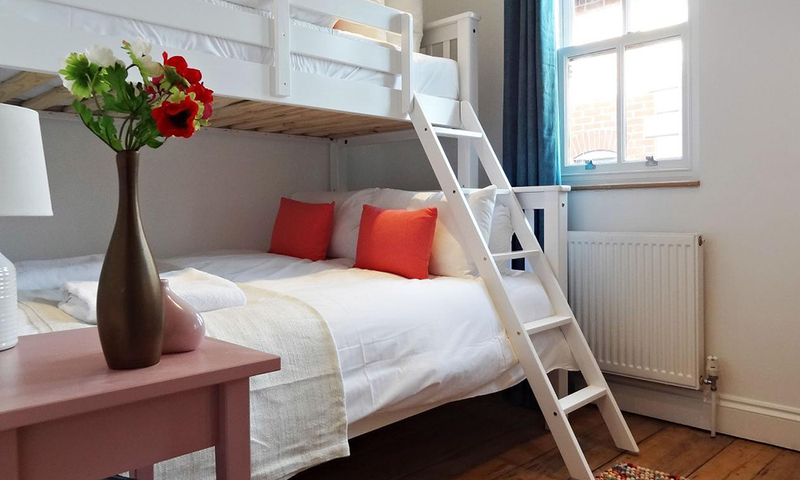 This property has a stylish and quirky decor for large groups to stay, which sits perfectly well in Brighton's famous and vibrant North Laine. There are a fabulous selection of cafes, bars, restaurants, boutiques and delis just moments from the property. 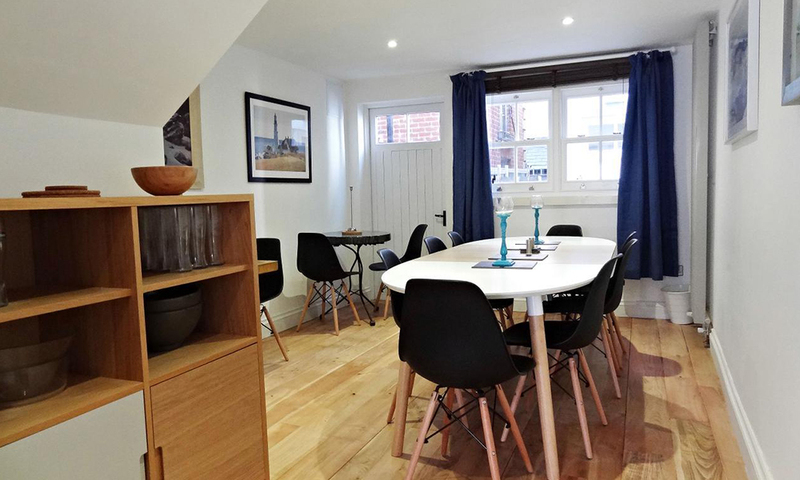 Open plan through to dining area, which can seat up to 12 guests - with a large table to seat 8 and two smaller tables to seat 2 at each, plus there are 2 bar stools at the breakfast bar by the kitchen for a further 2 guests. 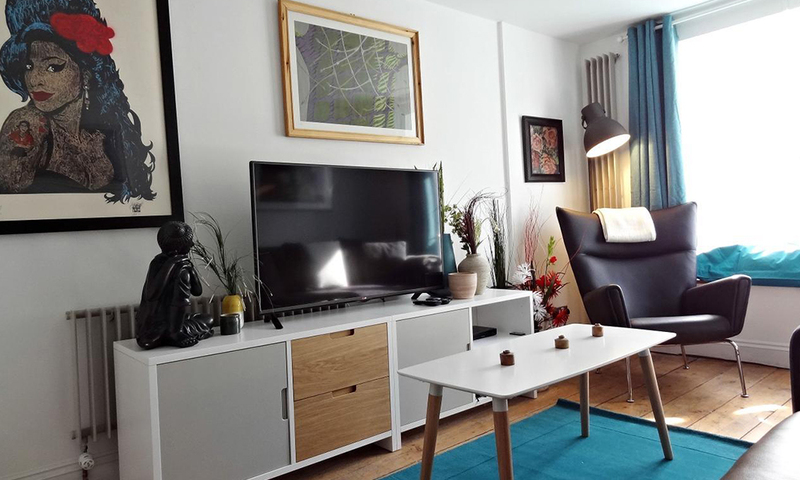 A pleasant social space to get together as a group. Lounge - Two seater sofa which converts to a sofa bed to sleep 2 guests, corner sofa and comfy armchair. Huge LED TV with Freeview, DVD player. iPod dock, board games and DVDs for your entertainment. Cloakroom - WC with washing machine, tumble dryer, hairdryer and clothes hangers. Bedroom One - Sleeps 3, in a triple bunk. Bedroom Two - Sleeps 3, in a triple bunk. Bedroom Three - Sleeps 3, in a triple bunk. 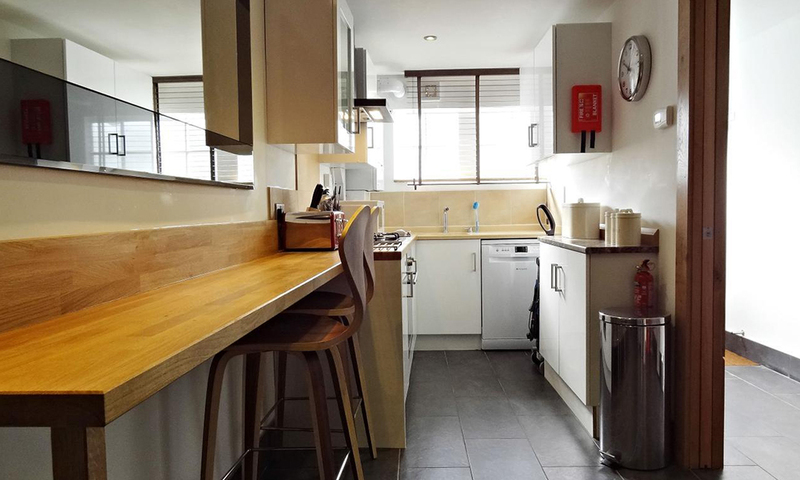 Shower Room - With large, walk-in shower, wash basin, WC and heated towel rail. 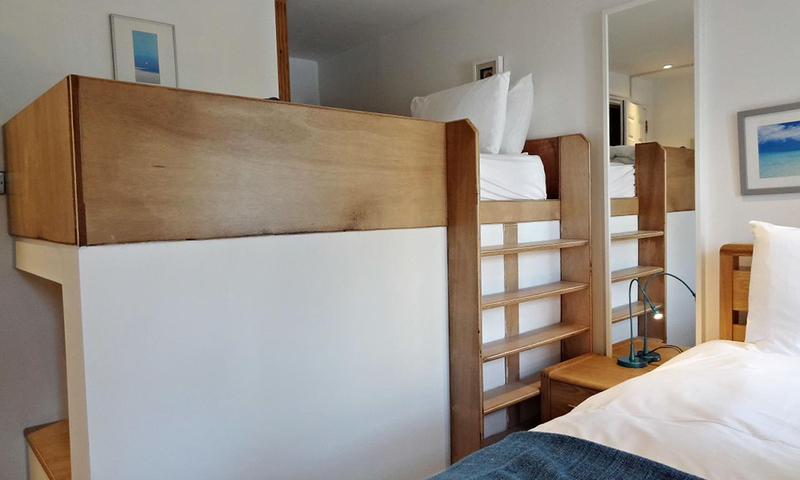 Bedroom Four - Sleeps 2, with a single bed and quirky wooden platform bed. Bedroom Five - Sleeps 2, double bed.